Nothing compares to the beauty of the Alps. The sound of the cowbells echoing in the mountains and snow capped peaks contrasting with the green forest are hypnotizing. And although many people prefer to visit them in the winter time, traveling over summer in Arosa proved that Switzerland is magical also during the warmest months of the year. Our summer in Europe was dedicated to the mountains and little towns. After a week of adventures in Vorarlberg – Austria and local experiences in Borno – Italy, it was time to pamper ourselves in Switzerland. 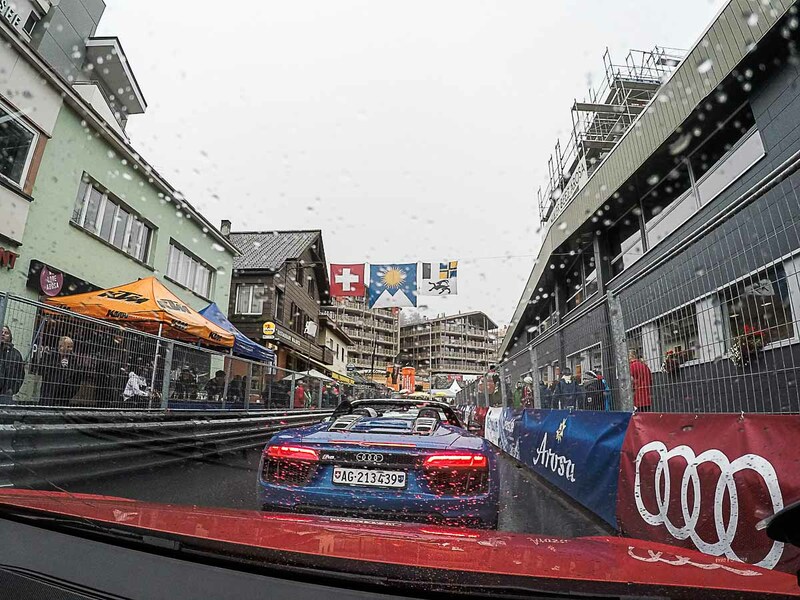 Arosa was our summer destination and our 4 days there were a mix of fun, nature, car race, delicious food and deluxe stay. When we talk about summer in Switzerland the first question we hear is: how is the weather in Arosa during summer? Well, the temperatures can reach over 20ºC but it’s the Swiss Alps so it can get cold and snowy any time of the year. Don’t let the cold breeze scare you, this charming town is the perfect summer getaway, far from busy cities, from packed beaches and from big groups of tourists. 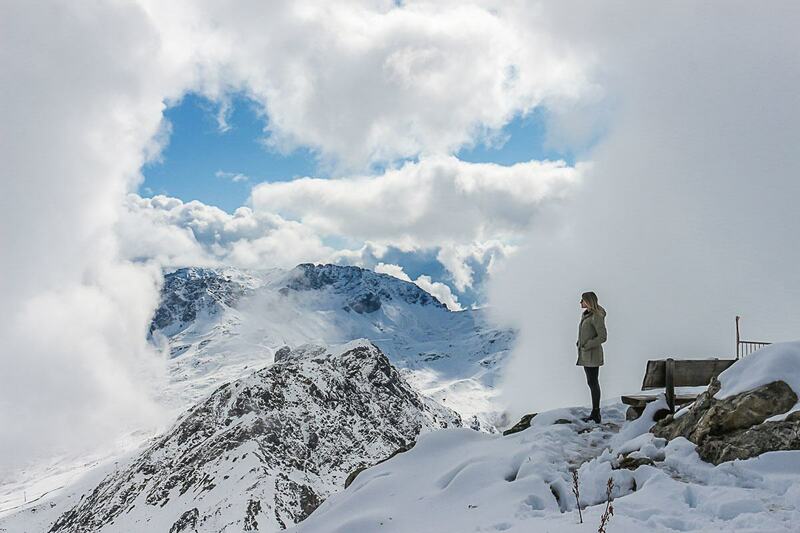 What we loved in Arosa is that you can have the best of both worlds: relaxation and adventure! All of them packed with stunning nature and first class service. Planning a trip to Arosa during summer is easy and a money saving option compared to winter. Most of the hotels have special rates and you can take advantage of the Arosa All-Inclusive Summer package. When you book your stay at one of the charming hotels in Arosa you receive an Arosa Summer Card. The city card gives you unlimited access to all the cable cars operating during summer and to the buses that circulate around the city. With Arosa Summer Card you also get free entrance at the local museum, to the ice skating rink and to a mini golf course in the middle of a beautiful hiking trail. For those seeking adventure, All-Inclusive Summer in Arosa gives you free pass to the Rope Park and free of charge rental boats and stand up paddle boards at the Obersse Lake. Not to mention the scenic train ride from Arosa to Lüen-Castiel. On your hotel check-in you will receive an Arosa Summer Card to use during your stay. 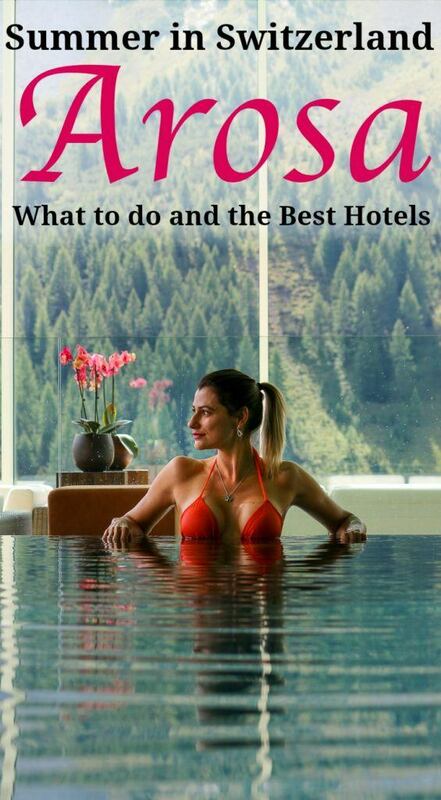 If you have any doubts about how to use it and which activities are included, don’t hesitate to ask the hotel staff. Or if you prefer, visit Arosa Tourist Information Office at the Sport and Convention Center nearby the Obersse Lake. Arosa is packed with hotels, guesthouses, apartments and even camping sites. There are options for all tastes, budgets and style of traveling. Among all the charming hotels we chose to stay at Arosa Kulm Hotel for three good reasons: it’s an awarded luxury hotel, it has everything you need to pamper yourself and it is the hotel the Thai Royal Family used to stay during their winter holiday. If you follow our travels around the world, you might know we LOVE Thailand. We not only wrote many travel guides to Thailand destinations but we also lived there for almost a year. So when we discovered that the beloved Thai King grew up skiing in Arosa and his family stayed at Arosa Kulm Hotel, we didn’t think twice. We booked a room at Arosa Kulm Hotel and were super excited to finally taste delicious Thai food after 8 months away from Southeast Asia. 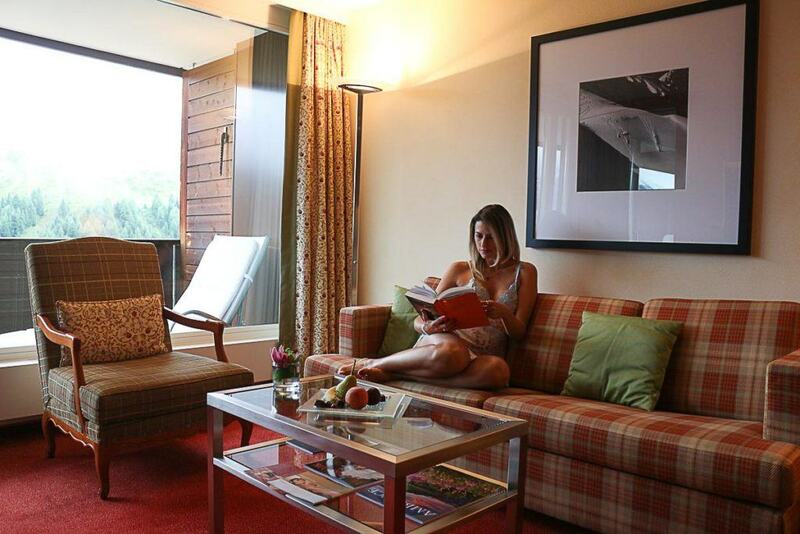 Arosa Kulm Hotel will make your summer memorable. Their team knows how to pamper the guests and if you want a relaxing holiday you don’t need to leave the hotel. The Arosa Kulm Hotel has 6 restaurants, 2 bars and a gorgeous spa. Not to mention the pick up service, a spotless shining Maserati waiting for you at Arosa train station. This is the way every luxury trip should start, don’t you think?! We stayed at Arosa Kulm Junior Suite with a gorgeous view to the mountains. The room is super comfortable and it has everything you need for a lovely stay [or even to live there]. The service is impeccable and the staff knows how to treat each guest in a special way. What I love about Arosa Kulm Hotel is that it’s a luxurious property but it kept the Swiss mountain feeling. It has character and gives you a unique experience, something you don’t get in every 5-star hotel. If you are planning a trip to Arosa – Switzerland at the last minute and all the rooms at Arosa Kulm hotel are already booked, you can look for other hotels in Arosa here: Booking.com or Agoda. On these two websites, you find the best selection of places to stay in Arosa in the summer or winter. 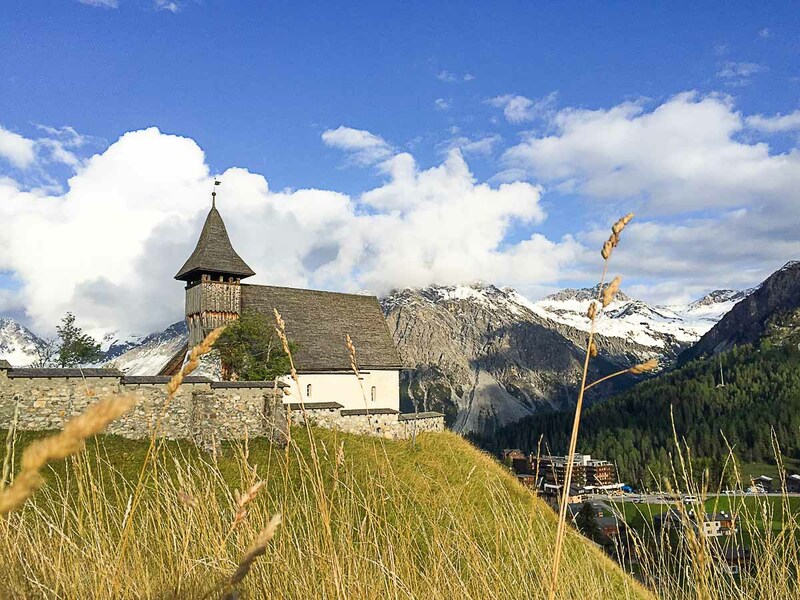 What to do in Arosa in the summer? It’s summer in Switzerland and there are plenty of things to do in Arosa. Many people would say that a sunny and warm day would be the ideal weather to enjoy the mountains, but I have to disagree. We traveled to Arosa to enjoy the summer, but the weather changed and we had some snowfall in the end of August. You might think it ruined our holiday, but it didn’t. Arosa in the summer and with snow is surreal. It’s not easy to see the top of the Alps covered with fresh snow while in the valley, the forest is lush green and lakes are crystal clear. 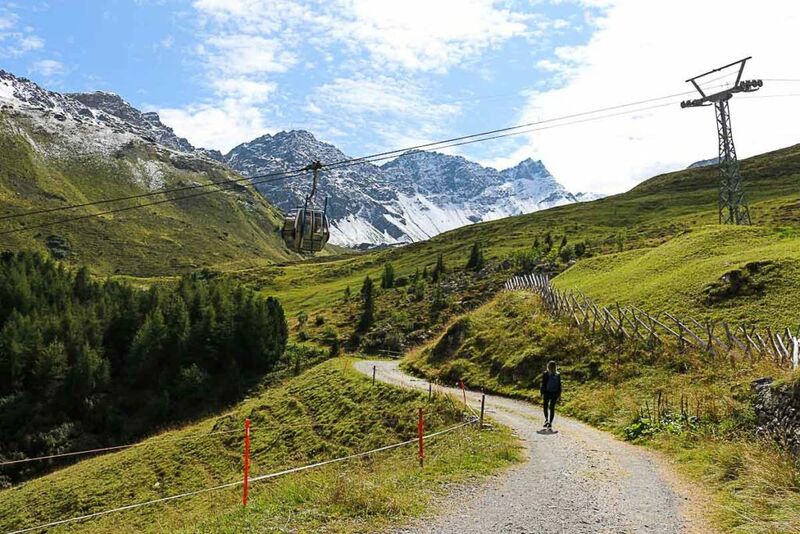 In this beautiful scenery we discovered the best things to do in Arosa in the summer, which means that our suggestions work even if the weather doesn’t look so good. Ok, we love mountains and adventure stuff, but the real reason that made us travel to Arosa in the summer was Arosa Classic Car Race. Never heard of it? Don’t worry, I’m here to tell you what it is and why it should be on your travel bucket list. Close your eyes and picture yourself in the charming town of Arosa, sipping champagne while watching vintage and classic cars driving through the Alps. Great food, lovely people, beautiful cars, this is Arosa Classic Car and that’s why we were there. The race starts on August 31st and ends on 3rd of September. All the action happens in the center of town with bars taking over the pathways, seats overlooking the racetrack, stunning cars all over the city and the noise of powerful engines roaring through the valley. I never thought vintage or classic cars could go so fast. It’s impressive and exhilarating. 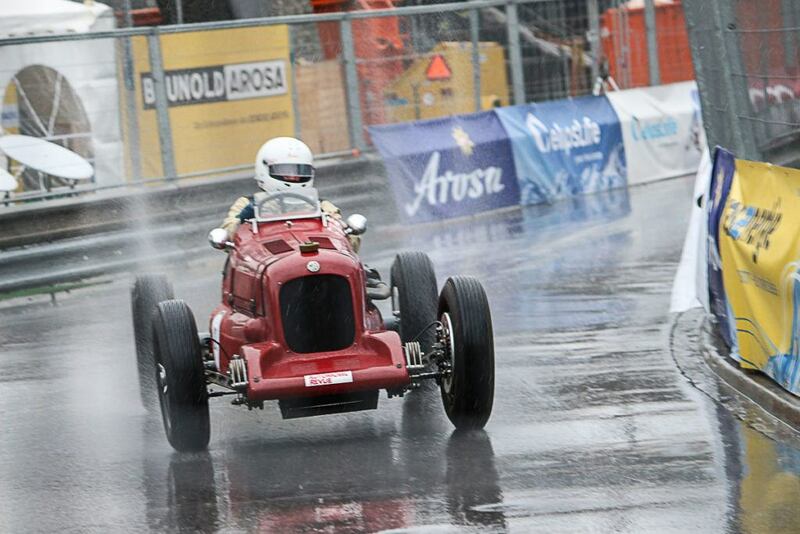 Arosa Classic Car Race started in 2004 and nowadays attracts over 20 thousand people to Arosa during summer. The race is free, you can watch it along the racetrack and visit the paddock. To get closer to the race you can buy the race pass and grab a seat in one of the stands. Another option is to get the VIP Ticket that gives access to an exclusive area with drinks, food, plus entrance to the official dinner and other perks. But I believe the best part of the Arosa Classic Car is the Race Taxi. An opportunity to seat in a fast Audi and have a professional race driver driving you through the official racetrack: a 7.3 Km road from Langwies to Arosa, 76 turns and an altitude gain of 422 meters. All this while watching the beautiful scenery pass by your window in a blink of an eye. Rob had the opportunity to go on a Race Taxi and these were his words after it: “Can we do this every summer?!”. 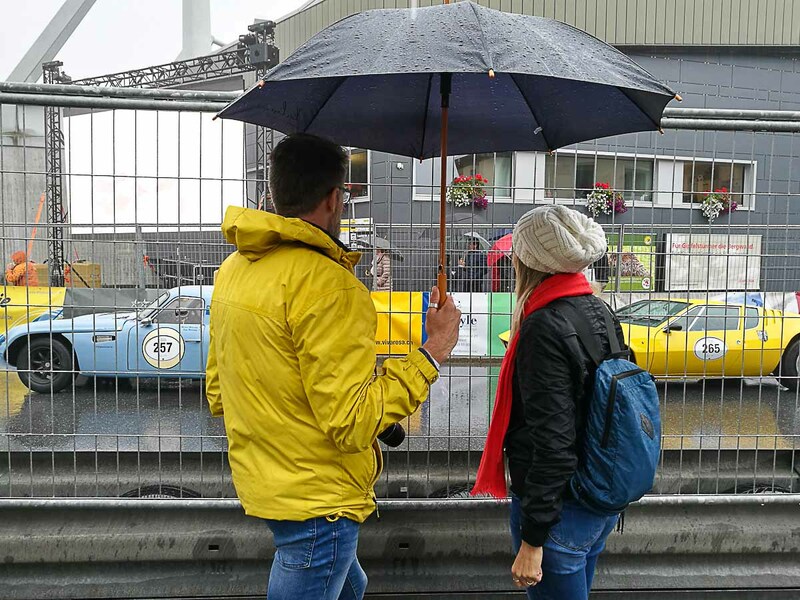 Anyone can go on a taxi ride during Arosa Classic Car Race but you must book the Race Taxi in advance, there are only a few spots and they get booked faster than you can imagine. 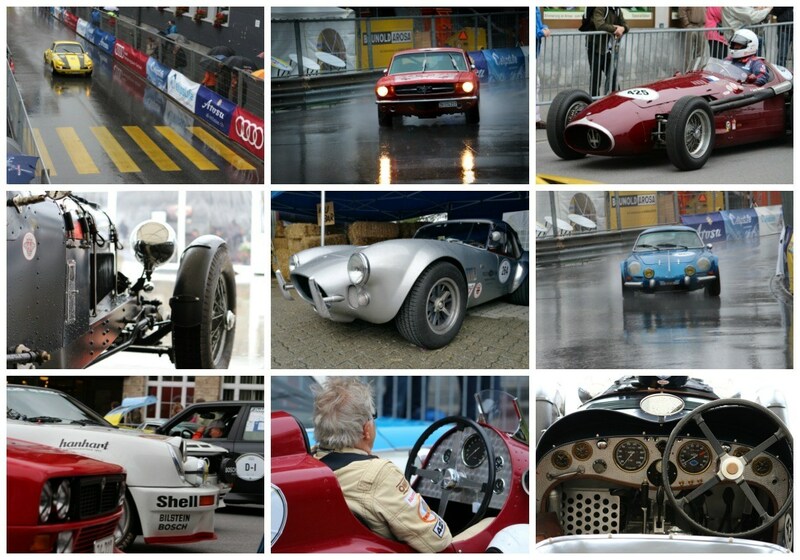 Arosa Classic Car Race happens over four days and they announce in advance the time the cars will drive by. 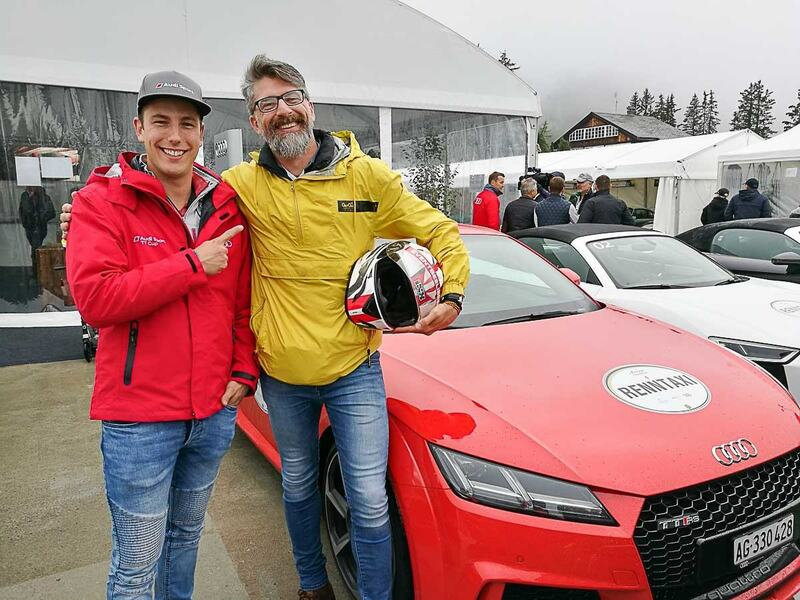 You can manage to watch the race and also do other activities in Arosa. You can hike, walk, run and ride a mountain bike in Arosa. The beauty of the Alps is an invitation to get lost among the endless trails and witness the wildlife. In total there are 200 kilometers of summer hiking trails from easy walks to long distance trekkings. Some of them start from town, others you can reach by cable cars and start the hike from the top of the mountains. From Arosa Kulm Hotel we walked towards the Hörnli Cable Car station and from there we started our easy hiking trail through the meadow. It was a 40 minutes walk to the stunning Schwellisee Lake, a crystal clear lake hidden in between the Alps’ peaks. It is an easy trail with stunning views, cute mountain houses and many Swiss cows on the way. 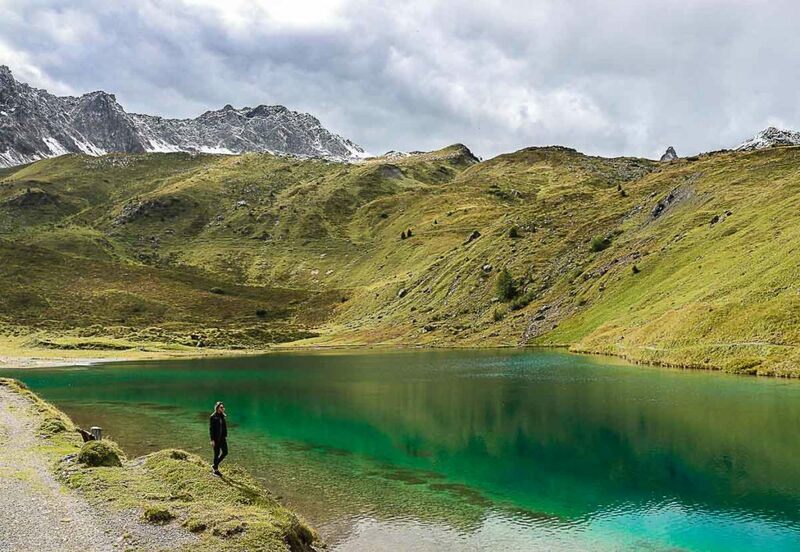 The Schwellisee Lake is a must see in Arosa. If you still have some energy left, walk up further on the trail, you will find a waterfall and go on a loop trail back to Arosa town through a different path. Follow the trail marks and don’t forget to stop at the Alpenblick Restaurant. This is the perfect place to rest after a hiking day, eat some food, have a coffee or a wine. If the weather is good, grab a sit at the terrace and enjoy the view. Weisshorn is the highest mountain in Arosa, 2,653 meters above sea level. 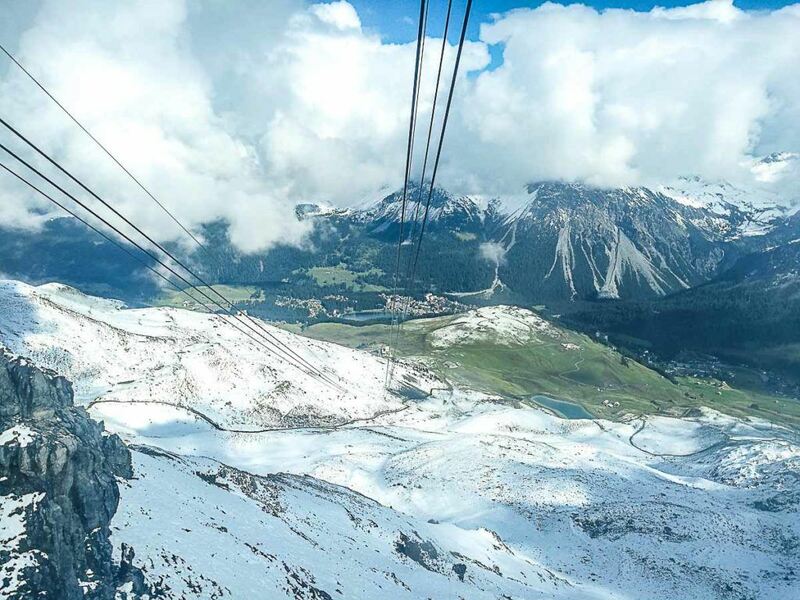 You can climb up by challenging yourself through the hiking trails or going with the comfortable cable car that is included on the Arosa Summer Card. You will be swept away by the 360º view from the Weisshorn peak. Seriously, it’s stunning!! We left the city with a light rain and cloudy sky, when we arrived at the peak we were welcomed with sunshine and snow up to our knees. So even if the weather doesn’t look so promising, don’t skip a visit to the Weisshorn peak, nature might surprise you. The perfect time to go up is close to lunchtime or for an afternoon tea. The Weisshorngipfel restaurant offers great view and delicious food. 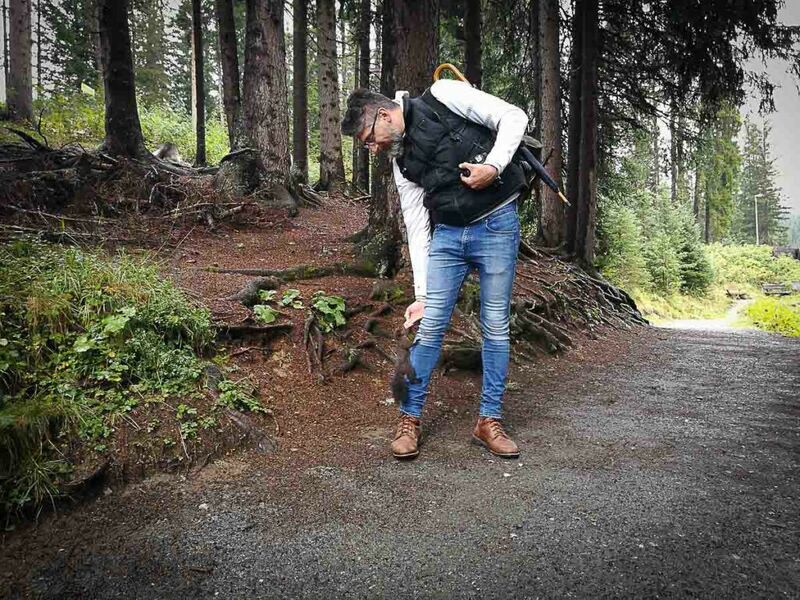 Our last tip on things to do outdoors in Arosa is a super cute and light walking trail. They say it is a must do for families, but we weren’t the only adults without a kid having fun there. When we left for the Squirrel Trail the hotel concierge gave us two bags of nuts and advised us that they would be really useful when we arrived at the trail. Bingo! The squirrels were there waiting for the treats. They are so smart, they dare to come close and even climb on our legs to get a delicious nut. While feeding the squirrels be aware of the birds. Many of them will come close and even steal the nuts from you. Enjoy your time in the woods but keep in mind these are wild animals and you should not pet them. Give them proper food and enjoy the experience. When you are done with outdoor activities go back to the hotel and indulge yourself with a massage, swimming pool and sauna. I was wowed by the size and the number of therapies offered at the Alpin Spa in the Arosa Kulm Hotel. The indoor pool is gorgeous and you can stay there the whole day, relaxing and soaking up the view of the mountains. We took a day off to relax. 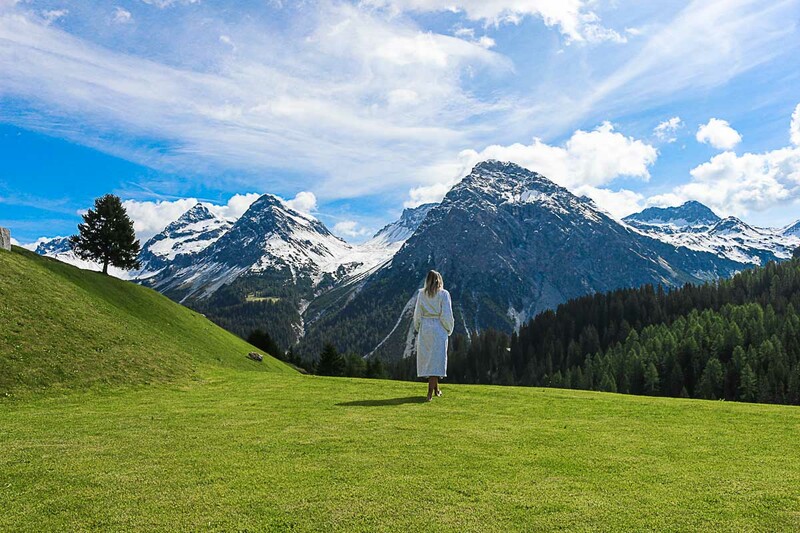 To look after our bodies and souls, we chose a heavenly massage at the Alpin Spa followed by some rest, tea, sauna and sunbathing at the hotel’s garden. Yes, after days of rain and snow, the day we decided to enjoy the hotel the sun shined making the wellness experience warmer and invigorating. 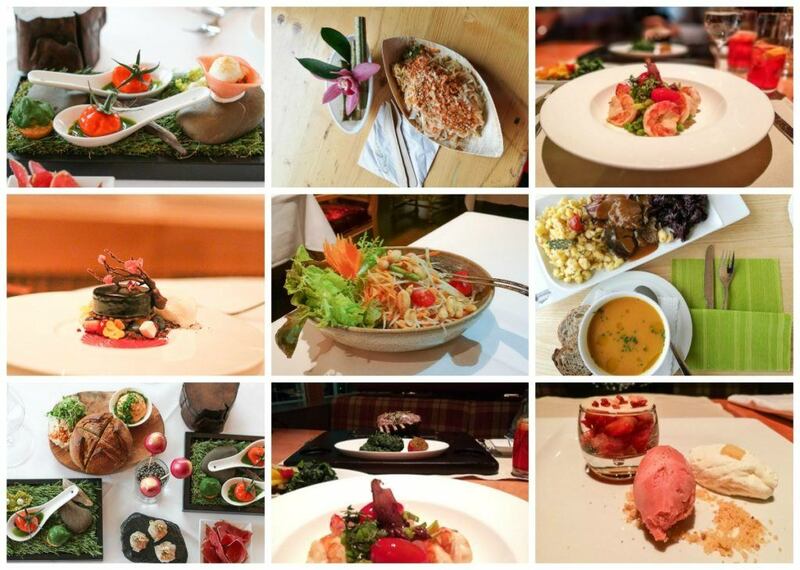 Forget the diet, the balanced meals and the salads, in Arosa you are gonna eat well and a lot! You must trick your mind and surprise your tastebuds at the Muntanella Restaurant. Awarded with 14 Gault & Millau Points, the Muntanella serves a gourmet menu that is beautiful to look at and delicious to eat. Think about Mozarella di Bufula that looks like tomatoes, shiny purple lollipops made with fish and beetroot, the soup that tastes like popcorn and a tomahawk steak cooked to perfection. At Muntanella your dining experience is out of ordinary. After our first dinner at Muntanella Restaurant, we thought that nothing else would amaze us, well, we were wrong. The Taverne Restaurant was also a good choice. It’s the perfect restaurant for a relaxing dinner after a long day in the mountains, when the only thing you want is a hearty comfy food. Rob’s lamb rack on a hot stone was sizzling good. We saved the best for the last! Our last dinner was at the Ahaan Thai Restaurant and it was the best Thai food I have eaten outside Thailand. I was craving a fresh Papaya Salad and a well seasoned Massaman Curry and both of them were delicious. Awarded with 13 Gault & Millau Points it’s a must try when visiting Arosa. Don’t forget to book a table in advance, the three restaurants we recommended tend to be busy even during summer. Still talking about food, during Arosa Classic Car Race don’t hesitate to try all the delicious food served along the track [keep an eye for the Thai tent serving awesome Pad Thais]. Along the hiking trails you will find mountain restaurants serving authentic food, perfect for a hiking break. 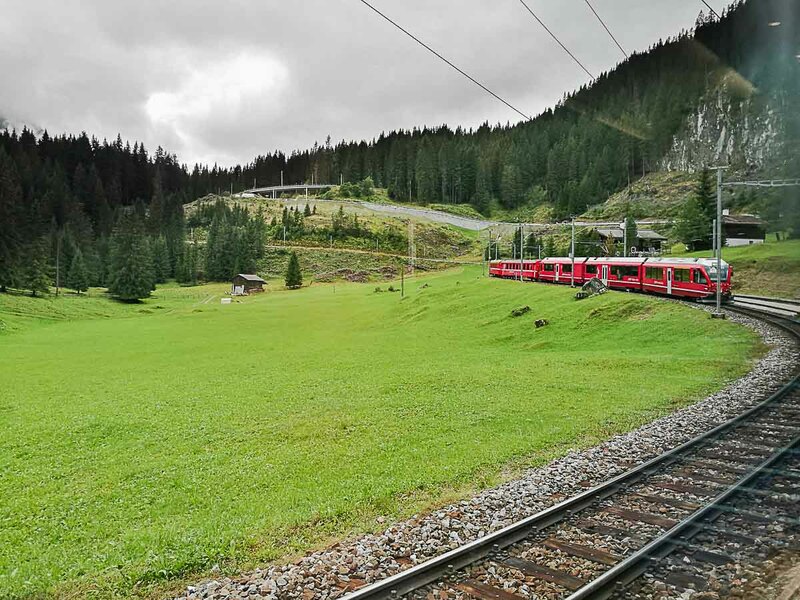 The best way to travel to Arosa during summer [or winter time] is to take the train from Chur to Arosa. It’s an hour ride through a scenic route, packed with tunnels and turns at the edge of the mountain. Grab a seat on the right hand side of the train to have the best views. There are trains almost every hour from 8 AM to 9 PM and you can buy the ticket at Chur station. When leaving from Arosa don’t forget to show you city card when buying the train ticket, you get a good discount with the All-Inclusive Arosa Card. You can travel to Chur by train, by bus or by car. The city is the capital of Graübunden region located in South-eastern Switzerland and it is the gateway to many small towns in the Alps. If you are flying to Switzerland, the best option is to travel to Zurich and from there take a train to Chur, it’s an hour train ride and the trains departure almost every 30 minutes. Another option is to fly to Basel – Switzerland, or to Milan – Italy, and from there take a train or a bus to Chur. The bus or the train trip to Chur would take about 3 to 4 hours. To search for the best flight to Switzerland or Italy you can use Skysccanner.com or Kiwi.com. On the official SBB website you check the prices and timetables of the trains in Switzerland. If you are traveling around Switzerland and Europe a good option might be the Eurail Pass. We have traveled around Europe with the Eurail Global Pass twice and it was an easy way to visit different countries and cities with only one ticket. Read our comprehensive guide about how to travel with Eurail Pass before booking your train ticket. Buy your Eurail Pass now! If you like driving, renting a car is also a good option. You can rent a car in Chur or in Zurich and drive through the beautiful Swiss countryside. Check the prices to rent a car in Switzerland here. Now you know that your next summer holiday must be in Arosa, Switzerland. 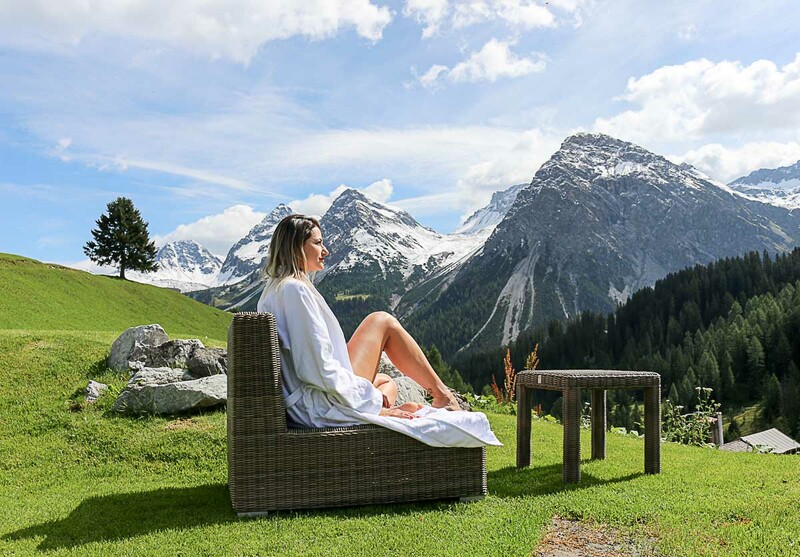 It doesn’t matter if you want a weekend of adventures, outdoor activities, car races, good food or just relaxing by the pool, in Arosa you can have it all and in good style. The hotel of the Thai Royal Family Natalie? How cool. Being a Thai travel nut this is enough of an endorsement for me, for a wintering spot, or a summering spot. These prospering folks know how to travel. Awesome post as always. I love the pictures.